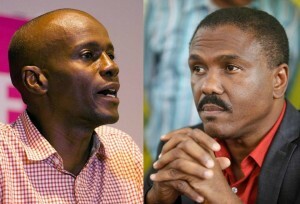 Haiti finds itself in the middle of another fraudulent election. Despite this, the U.S. Government and the E.U. who supported Martelly in 2010 when similar acts occurred, are standing down as the situation becomes unstable. Haiti finds itself embroiled — again — in an electoral crisis in the midst of a presidential election. This shouldn’t come as a surprise. First, elections repeatedly were delayed under President Michel Martelly until Parliament dissolved in January. This allowed him to rule by decree without democratic checks and balances. Now, on the eve of a presidential runoff, the country, in the words of its own prime minister, is facing a “trust crisis.” The nine-member Provisional Electoral Council (CEP), charged with verifying election results, has made one gaffe after another, discredit itself and the process. Yet no one, from the U.S. government, which has invested $30 million in the balloting, to the European Union, which observed the vote and quickly pronounced it A-OK, to Mr. Martelly, who faced a similar challenge five years ago, is doing much to confront the problem before it further deteriorates. The Haitian people deserve more. They deserve to know that their votes, cast on Oct. 25, counted. But first, allegations of fraud, whether massive or not, need to be addressed and finally put to rest.